What are the best types of meditation for depression? As a meditation instructor, I hear that question a lot. I used to suffer from depression years ago. Nothing helped. Then I started meditating. Meditation stopped painful emotions that were basically killing me. And not only did meditation help depression, I got so into it I started to teach other people to use meditation for depression. Meditation is the best form of self help for depression. Well, except possibly this thing. 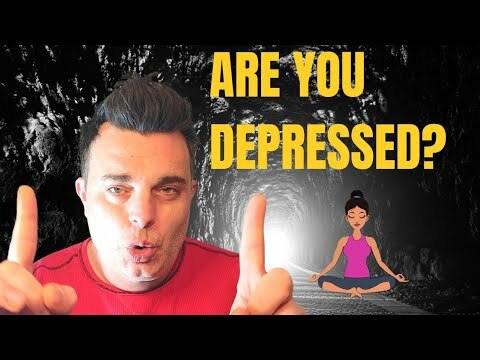 So let me show you how to stop depression with meditation. And you might also like to read my guide to helping someone with depression. 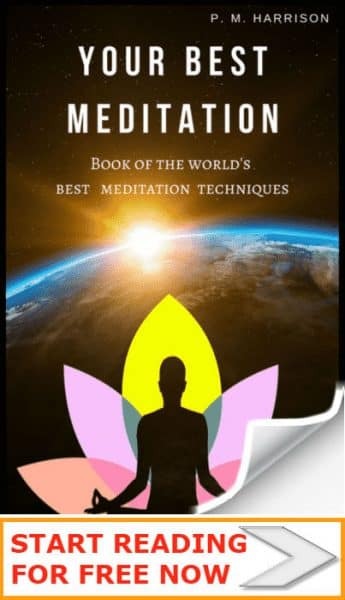 There are many self-healing meditation techniques. Many meditations can help with depression. The most basic is breath-based meditation. When you focus the mind on the breath you silence your thoughts, which helps you to escape from depression and anxiety. Like a cup, if the mind is full, nothing more can be put in it. No new information can enter a full mind. A problem. Because just as the body needs water, the mind needs new information. Meditation empties the mind. Then, new, healthy, positive information is free to enter. Meditation helps us let go of what is there, and put something happier and more pleasant in its place. Essentially: out go depressive thoughts. In come healthy, happy thoughts. Spend 10 minutes trying this simple exercise. It will clear your mind and help you to start feeling relaxed. Find somewhere quiet and peaceful where you will not be disturbed. Close your eyes and focus your mind on your breathing. With each inhalation, imagine bringing new energy into your body. With each exhalation imagine breathing out any negative and depressive thoughts. Take 108 breaths in this fashion. Now we’ve covered the basics, let’s look at the best meditation techniques for depression. But please bear in mind that meditation does pose some risks to your health. 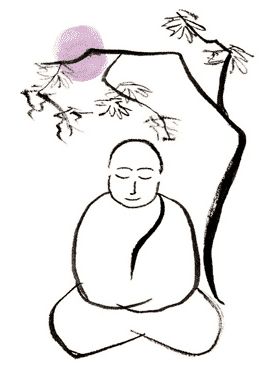 Many of the best types of meditation come from Buddhism. Buddhist meditation techniques help train the mind just like you train your body when you exercise. With these techniques you will take control of your mind and stop depressive thoughts and painful emotions. Here are the best Buddhist meditations for depression (see the link above for complete guides to all these techniques). “Anapanasati” is the proper term used to described breathing meditations. This is one of the best types of meditation for depression. And it is the best place for all newcomers to start meditation. The basic process of anapanasati is about focusing on the breath to relax the mind, and then focusing on the feeling of calmness. Anapanasati is fairly easy to do, and it creates a deep sense of relaxation. 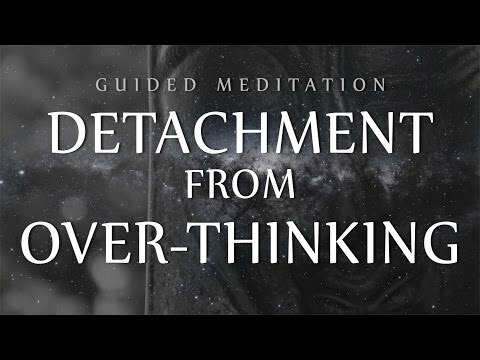 If you’re wondering why does meditation help depression, try this technique. You will feel calmer and you’ll see why mindfulness is so helpful. Smiling Buddha meditation is a moderately advanced technique that is best for people who have some experience meditating. It is a technique specifically designed to create happiness. It involves a combination of mudras (hand position) and mantras (repeated words) to create deep relaxation and happiness. The reason this is a good type of meditation for depression is because it boosts positive emotions. Read my full guide to Smiling Buddha Technique. I’m sure you’ll agree with me when I say that when you’re feeling down, a nice long walk helps a lot. A walk gives you the chance to escape and allows you to clear your mind. The only thing better than a walk is a Zen walking. In Zen walkng you walk up and down a path while meditating on the sense of movement. This allows you to get some fresh air (important for depression). It clears the mind and brings calmness and relaxation. This is the best type of meditation for depression when you’ve been stuck inside too long. Scientific research shows that Loving Kindness Meditation is very helpful for depression (source). Loving Kindness is type of meditation in which we focus on giving and receiving compassion. Imagine the person sending loving kindness back to you. Repeat the process with a second person, third person and so on. The first time, aim for 10 people. Loving kindness (which is also called “Metta”), is a soft and gentle way of feeling more compassion both in and around you. It is definitely one of the best types of meditation for depression. Mindfulness isn’t a specific meditation technique. It’s more an attitude which encompasses a wide variety of techniques. This is the type of meditation Deepak Chopra, Dr. OZ and others advocate. Essentially, mindfulness is awareness. You simply focus on the present moment. When you practice mindfulness you train yourself to let go of thoughts and to focus on the moment. This is very powerful for depression and will help you to escape your thoughts. I particularly recommend mindfulness if you are suffering from negative thought depression. When we become more aware of the present moment, we begin to experience afresh things that we have been taking for granted. Visualisation meditation is one of the more advanced types of meditation for depression because you have to use your imagination. Essentially, visualisation can be defined like this: imagining specific things to produce specific results. Let’s say, for instance, that you wish to relax. You may choose to imagine a relaxing scene of a beach. Try this now and you will become relaxed and happy. Say to yourself, “I am relaxed and calm. It is a good day”. Visualizations like this train the mind to think about positive, relaxing things. This brings calmness and inner peace. Unquestionably one of the best types of meditation for depression. When you are depressed you lose touch with the present moment. Depression makes you get lost in those ruminating thoughts. Comparatively, when we are happy with live in the moment. Living in the moment essentially means being focused on reality rather than what is in your mind. Body Scan Meditation gets you in touch with your body and puts you back in the present moment. It’s fairly easy to do. Ideally do it lying down, though you may stay seated if you prefer. To do a body scan meditation, you move your focus around your body. You may also consciously relax your body as you go (this is similar to the technique call “Progressive muscle relaxation”). Begin with your feet. Focus you mind on your feet. Notice any sensations in your feet. If there is tension ask your feet to relax. Imagine breathing air into your feet and having them relax. Continuing this process, move your focus progressively up your body, from feet to ankles to legs to pelvis to stomach, chest, arms, hands, neck, face and head. Reverse the process from head to toe. Learn more about this in my guide to mantras. A mantra is a sacred sound that is meditated on. There are two types of mantras, both of which are applicable to depression. Focus 100% on the sound. The next type of mantra uses a sentence. You then recite this mantra repeatedly while focusing on the words. This helps you to create the reality of the words, such that, for instance, saying “ I am calm and relaxed” will make you calm and relaxed. Easily one of the best types of meditation for depression. Mindfulness Based Cognitive Behavioural Therapy is massively helpful for depression. It is a form of therapy that combines mindfulness with cognitive behavioural therapy (CBT). And in my experience it works wonders. The reason I love this method so much is that you get the best of both meditation and CBT. The meditation aspect slows down your mind and makes you feel more relaxed and peaceful. The CBT aspect then changes the way you think so you can stop depressive thoughts. This method has made a huge difference in my life. And I seriously recommend that you try it. The link above has a complete guide so you can start doing it today… as in, right now. With MBCBT you will completely revolutionise your mind. Why does meditation help depression? In a recent trial published by The Lancet medical journal, 424 British adults were given either depression medication or therapy either take pills or try therapy. Half the test group were allotted to pills and the other half to sessions of mindfulness. The latter group stopped taking their medication completely after a winding-down period. “The relapse rates in the two groups were similar, with 44% in the mindfulness group and 47% for those on the drugs,” reports British newspaper The Guardian. 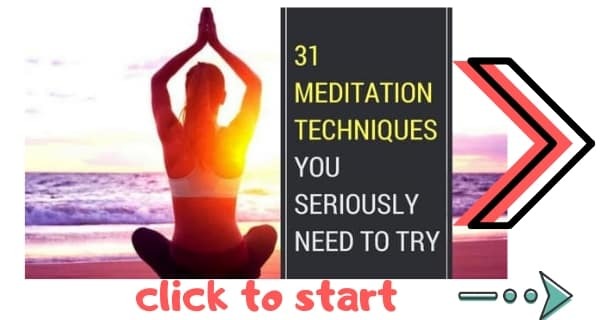 The results showed that meditation is equally as good as medication and that meditation does offer an alternative option for people trying to overcome depression. The study also showed that mindfulness might work better than pills for those people who are at high risk of relapse. You might like to read about the shocking placebo research. Yes, meditation helps with depression. Big times. Increases communication between parts of the brain. Medication VS Meditation For Depression: Does Meditation Help Depression Better Than Medication? Another question is: Does meditation help depression better than medicine? Professor Roger Mulder, of the University of Otago New Zealand, believes that mindfulness should be offered as a therapy for patients. His reasons is that meditation lowers costs and has less side effects. “We have a promising new treatment that is reasonably cost-effective and applicable to the large group of patients with recurrent depression,” says Mulder. Mulder states that drugs are not working as expected. And yet despite these facts the pharmaceutical industry continues to force pills on people. And that despite the mounting placebo research. Current best practice, endorsed by Nice (the National Institute for Health and Care Excellence) is to encourage people with a history of recurrent depression to remain on antidepressants for at least two years. Naturally, you will want to consult a healthcare professional to see what the best option is for you. But do be aware of the possible side-effects of medication. The best types of meditation for depression help us to stop negative thoughts. You can stop negative thoughts depression with meditation. In fact, one of the main reasons why meditation helps with depression is because it helps us control negative thoughts. I wanted to know precisely how much of an effect these negative thoughts have on us. So I researched. And was shocked by the answer. Stopping negative thoughts can have a huge effect on depression. You need to stop negative thoughts so that you can find peace and calm. You need to find a new, positive way of thinking. One way to change your negative thoughts is to use mindfulness-based cognitive behavioral therapy (MBCBT) for positivity. 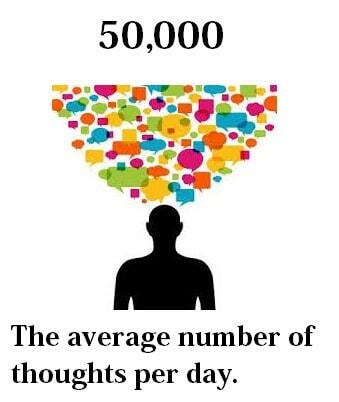 This is a powerful way of boosting the positive thoughts in your mind, while reducing the negative thoughts. And that is basically how meditation helps depression. Thanks for sharing all of these great ways to help deal with depression! I have found that gratitude meditation, focusing on any and all the things that you feel grateful for, and also self love meditations to be quite helpful in dealing with depression. I’m glad to see that you put that last paragraph in there about how there are times that you should not use meditation. Sometimes when we become more aware of a less then enjoyable experience going on within us, like depression, it gets much worse. There are a million and one ways to deal with this and there is no one “right” approach for all people. It will vary greatly. I like to call these the growing pains of meditation. They get called the dark night if meditation as well. They can happen with many different things in the practice as well. Not just depression. i found your article very useful as myself was also into the state of depression but somehow i recovered myself and started reading so many inspirational articles just to attain the knowledge about these things.